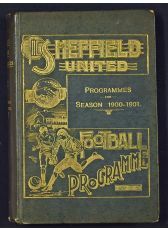 1900/1901 Sheffield United Bound Volume of Programmes to include Football League matches Bury, Blackburn, West Bromwich Albion, Sunderland, Bolton Wanderers, Preston, Aston Villa, Newcastle United, Sheffield Wednesday, Everton, Manchester City, Nottingham Forest, Stoke, Notts. County, Derby, Wolverhampton Wanderers, Liverpool. FA Cup match v Everton. 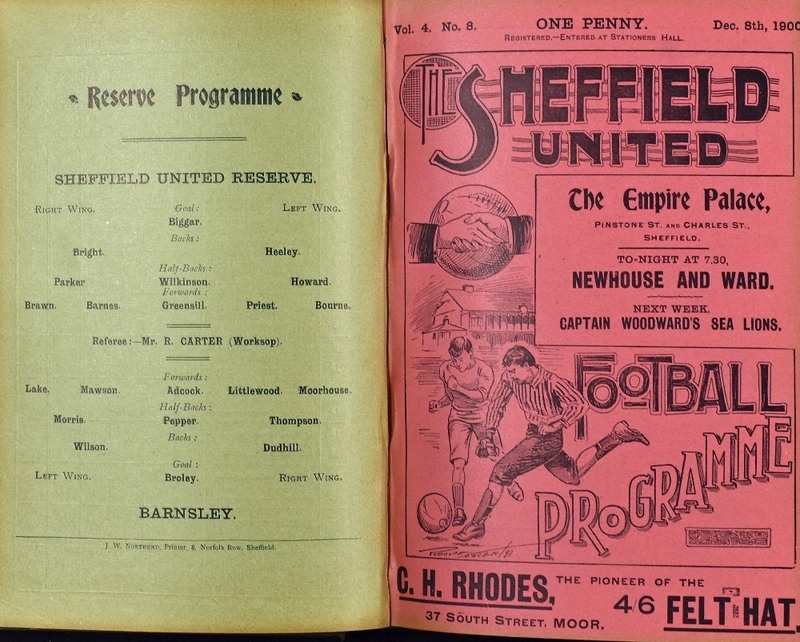 Friendly match programmes include Glasgow Select XI, Aston Villa (testimonial) Rest of Lancs. 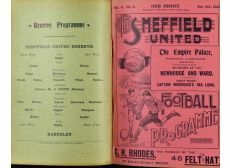 Combination league, St. Bernards (Edinburgh), plus Sheffield Boys v Manchester Boys. 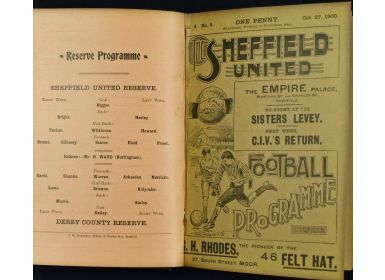 Reserve match programmes include Rushden, Wombwell Town, Northampton, Derby, Worksop Town, Coalville Town, Barnsley, Attercliffe, Sheffield Wednesday (County Cup), Roundel, Hinckley, Lincoln City, Ecclesfield, Sheffield Wednesday, Wath Athletic, Channing Rovers. 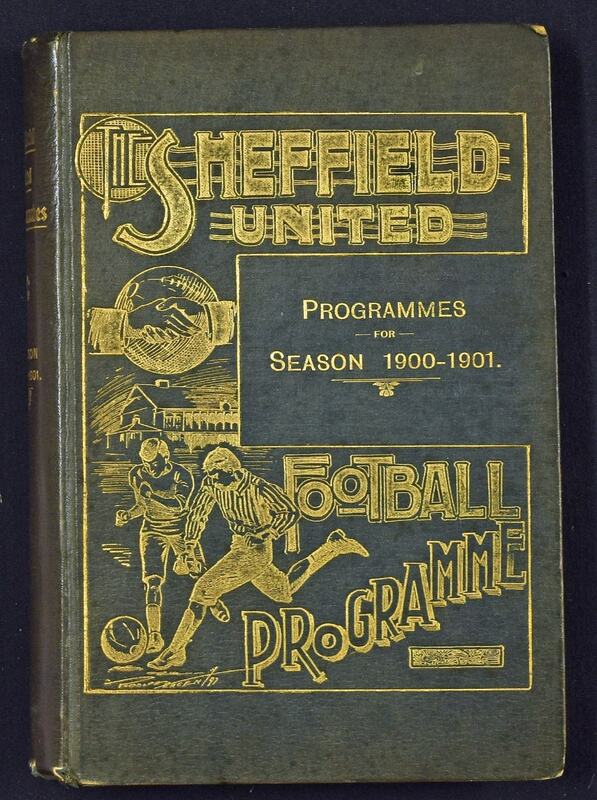 NB: Sheffield Utd were FA Cup finalists this season, losing to Spurs after a replay. 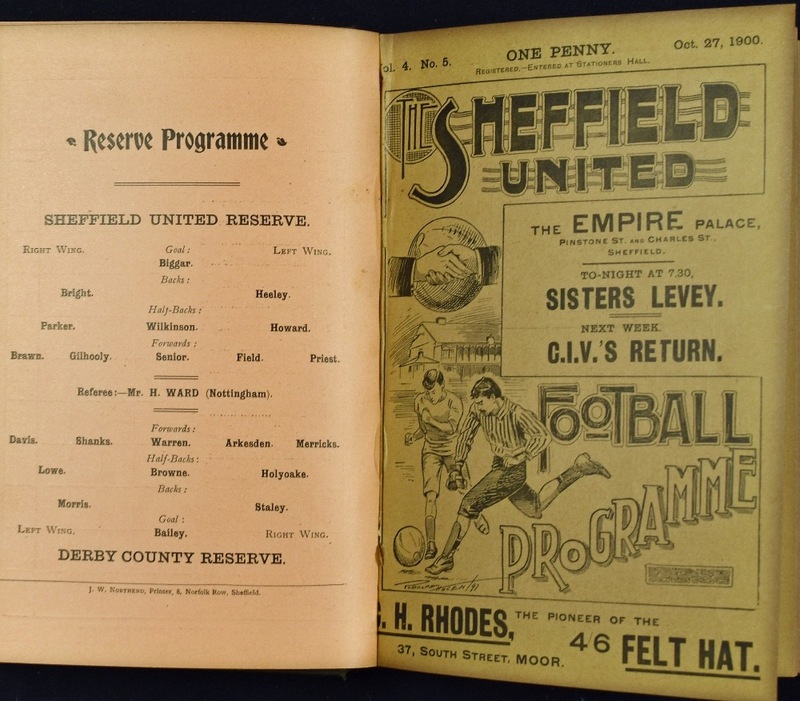 Handback covers have handling wear, the programmes, all of which have covers, are in very good condition.